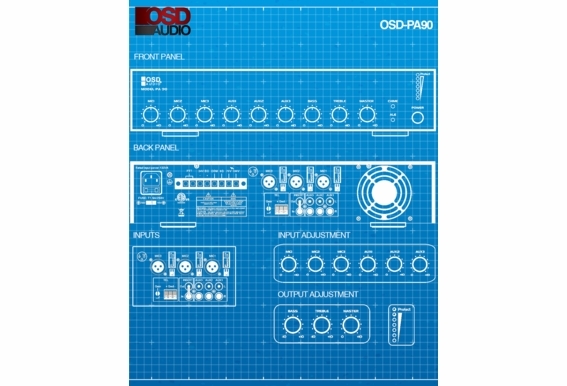 The OSD Audio PA90 60-Watt Commercial 70-Volt Amplifier is the perfect control center for restaurants, meeting halls and other small commercial venues. 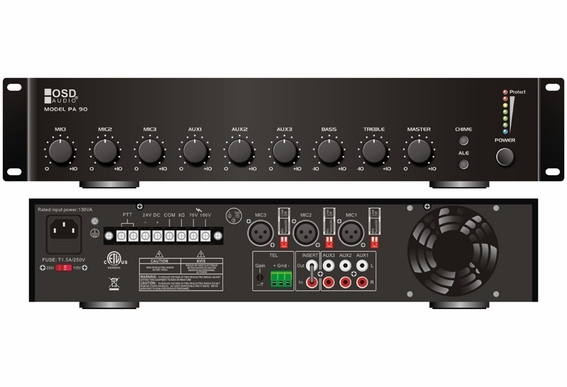 It's versatile, powerful and affordable, and it features three XLR microphone inputs and three signal-level inputs. 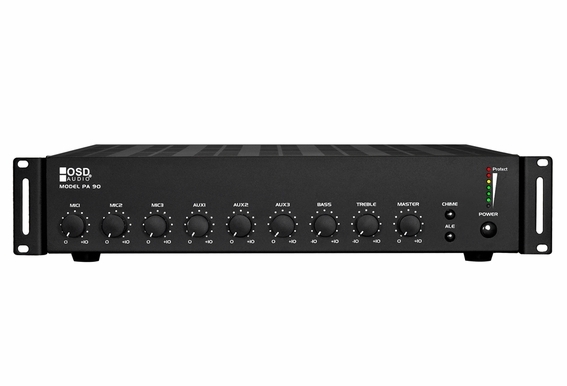 It also has front-mounted gain control knobs for master bass and treble. The PA90 also has chime and alarm buttons, and it can be connected to CD players, TV outputs, smartphones and more. 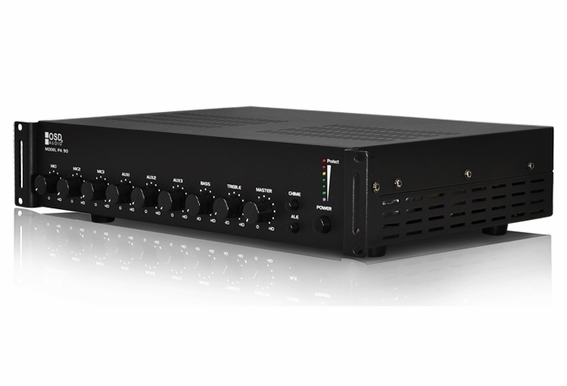 The PA-90 amp features three choices of output: 70volt, 100volt, or 8ohm output. 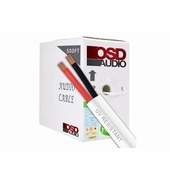 It features three microphone input lines and three input line connections that can be connected to signal sources such as CD players, radios, MP3 players, etc. 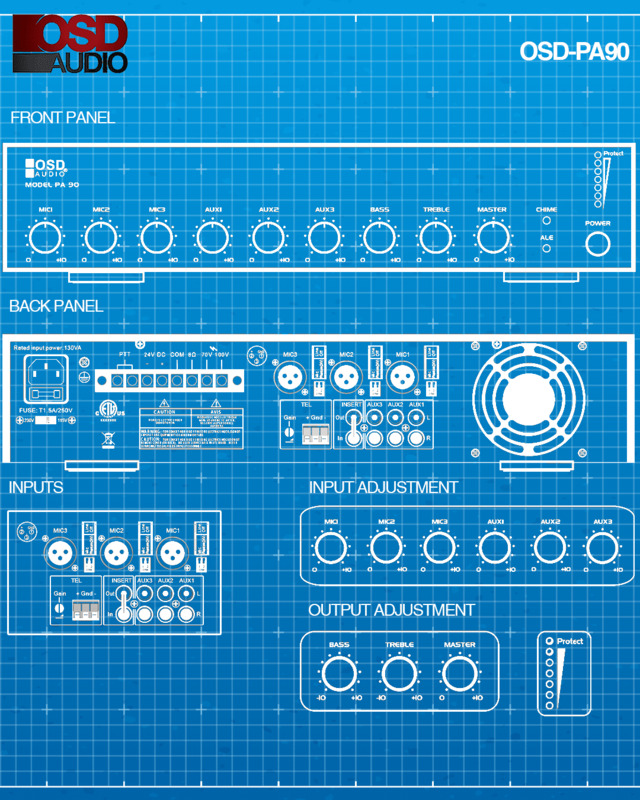 Each input line has an input volume control. 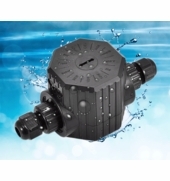 The unit includes overload, over-heating and short-circuit protection. 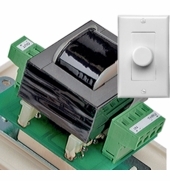 Can 2 of these amps be connected together two power two separate rooms from the same source ? So realisticly speaking, how many 70V speakers can this amp drive? 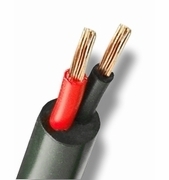 Does wire size make difference? I have a quick service restaurant and will be installing a microphone to this amplifier. When I use the microphone to call out a customer order will it automatically lower the volume of the music so that the customers can hear me calling out their name over the speakers? So this amp has 60 watts output right? How many speakers can it run? I powered it on and it shut itself down. Am I running too many speakers on it? I have 10 speakers all set to 10 watts each. Hi Jeff, Correct - the PA-90 outputs 60 watts. It sounds like the reason your amp is shutting off is because you're trying to pull more more than it has. 10 speakers at 10 watts each is 100 watts total. Try setting each speaker to 6 watts or below. If you happened to have blown the fuse already, there should be a spare fuse in the fuse compartment. If you need extra fuses, you can find them at practically any electronics store. Just make sure they're 250v fuses. Hope this helps! can i conect 4 outdoor spikers 200w each? Can the insert out jack be used as an input to another amp? I have a installation where the number of speakers (48) will require multiple amps. How do I make sure all both source inputs (background music - iPod and microphone paging) are heard on the outputs of all amps? Hi, please what's the maximum amount of speakers I can connect to the PA 90. Want to use it for a school so from the principal office announcements can be made. Will this unit work with 8 speakers in a 1/3 mile run? They are 70 volt speakers in a large open parking area and the furtherest speaker is about 1/3 mile away. 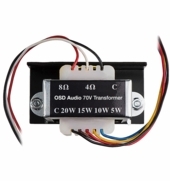 Can I get an MTR-250 70V/100V Amp Transformer 250 watts RMS to work with this amp if am looking at using 12 ceiling 70v speakers for a conference room paging system. And can the OSD PA-90 work with a Shure wireless microphone receiver with all the 12 speakers. 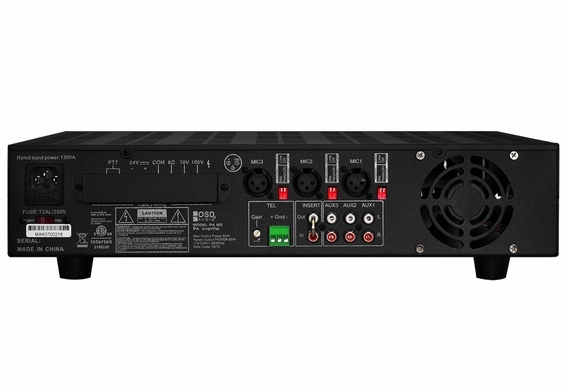 What kind of power will I need if I want to run 8-12 70V speakers off of this amp? can i connect 10 150w 8" speekers to it and 2 subwoofers ?